Every time you walk into a blood donation drive organized by Sankalp, one of the pre donation measures adopted is a Hemoglobin test. Do you know what is it all about? Read on to know the value of that little prick on your finger before the actual donation. Hemoglobin is the iron-containing protein attached to red blood cells that transports oxygen from the lungs to the rest of the body. Hemoglobin bonds with oxygen in the lungs, exchanges it for carbon dioxide at cellular level, and then transports the carbon dioxide back to the lungs to be exhaled. 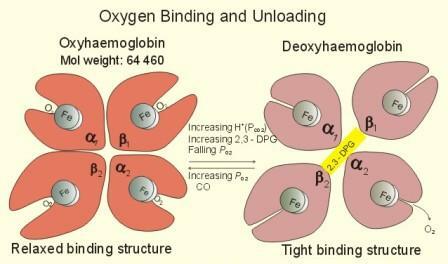 Whether hemoglobin binds with oxygen or carbon dioxide depends on the relative concentration of each around the red blood cell. When it reaches the oxygen-rich lungs, it releases the less-abundant carbon dioxide to bind with oxygen; when it goes back out into the body where cells are producing carbon dioxide, it releases the oxygen and binds with carbon dioxide. What are the normal levels of Hb? A hemoglobin level of greater than 12.5 g/dl is the minimum criteria before donating blood. This standard has been prescribed by NACO. Why is a Hemoglobin test performed? A hemoglobin test is performed to determine the amount of hemoglobin in a person's red blood cells (RBCs). This is important because the amount of oxygen available to tissues depends upon how much oxygen is in the RBCs, and local perfusion of the tissues. Without sufficient hemoglobin, the tissues lack oxygen and the heart and lungs must work harder to compensate. During a normal blood donation, either 350ml or 450ml of blood is drawn out depending on the donor's weight. In order to ascertain that the donor does not face any severe reactions after having given out this amount of body fluids, a Hb test becomes a cery essential component of pre donation procedures to be followed. What are the reasons for abnormal levels of Hb? A low hemoglobin measurement usually means the person has anemia. Anemia results from a decrease in the number, size, or function of RBCs. Common causes include excessive bleeding, a deficiency of iron, vitamin B12, or folic acid, destruction of red cells by antibodies or mechanical trauma, and structurally abnormal hemoglobin. Hemoglobin levels are also decreased due to cancer, kidney diseases, other chronic diseases, and excessive IV fluids. An elevated hemoglobin may be caused by dehydration (decreased water), hypoxia (decreased oxygen), or polycythemia vera. Hypoxia may result from high altitudes, smoking, chronic obstructive lung diseases (such as emphysema), and congestive heart failure. Hemoglobin levels are also used to determine if a person needs a blood transfusion. How do I increase my Hb levels? Unfortunately, however, some well-meaning donors are turned away because their blood’s hemoglobin count doesn’t meet the minimum level as accepted by the blood donation centers. Individuals who are not suffering from a life threatening illness can make a few dietary adjustments to increase their hemoglobin count to meet the 12.5 g/dL minimum required level. One of the safest way to improve your Hb count is to improve your blood iron levels. (Others may include consumption of iron and vitamin rich capsules, which should be taken in consultation with a physician) A modified diet rich in vitamin B12, folate and iron is essential for the rapid rise in hemoglobin level. Tomatoes, apples, gooseberries, brown rice ,brinjals, carrots, broccoli, eggyolk, brown bread, jaggery, dry fruits, whole wheat, unpolished rice, bran and green leafy vegetables (spinach, lettuce, fenugreek, corriander) are very good sources of iron.